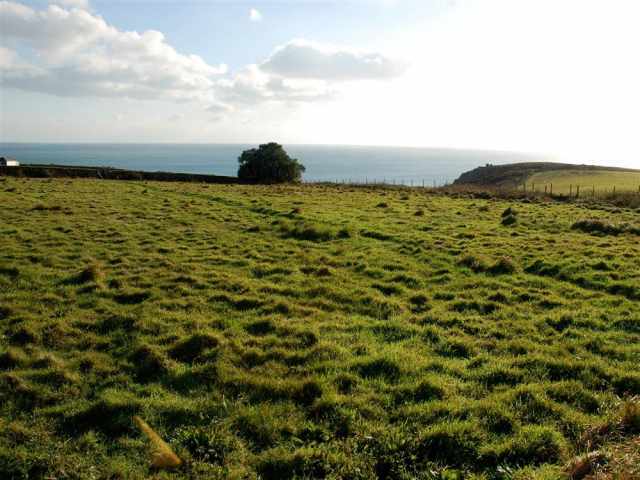 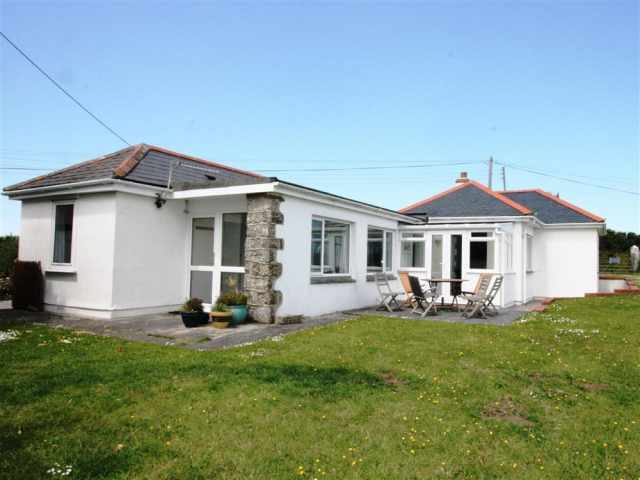 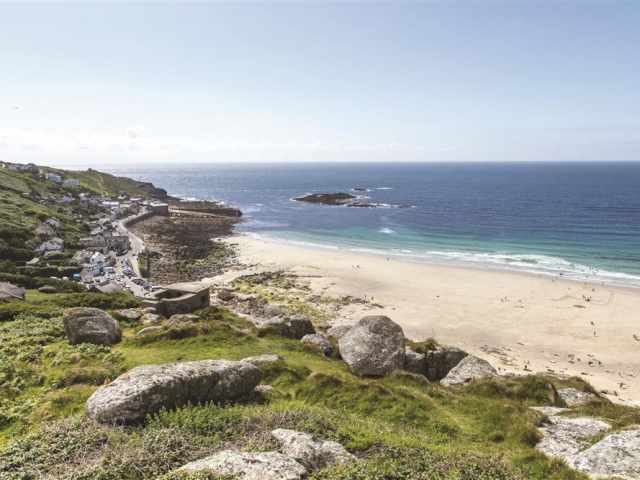 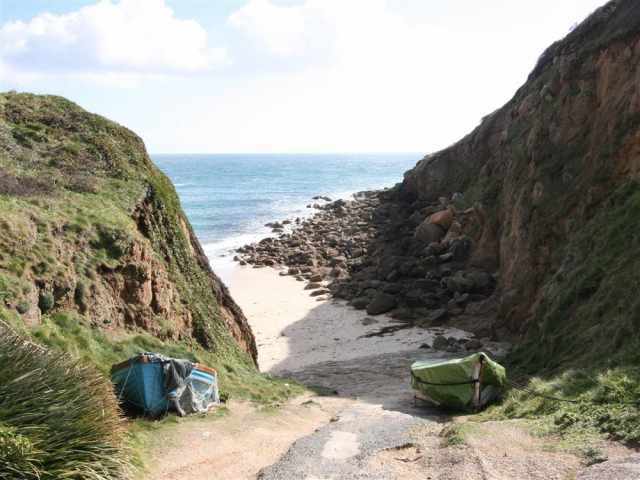 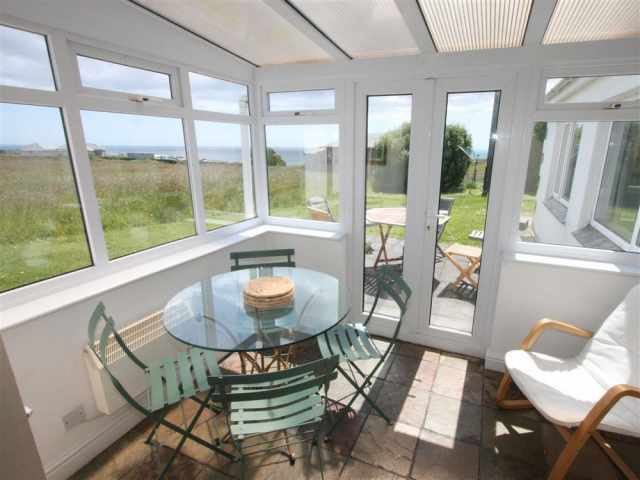 Set to one side of the lane that leads from Porthcurno beach down to the sandy cove of Porth Chapel, it is ideally situated for the beach going family and for easy access to the stunning viewpoints on the South West Coastal Path. 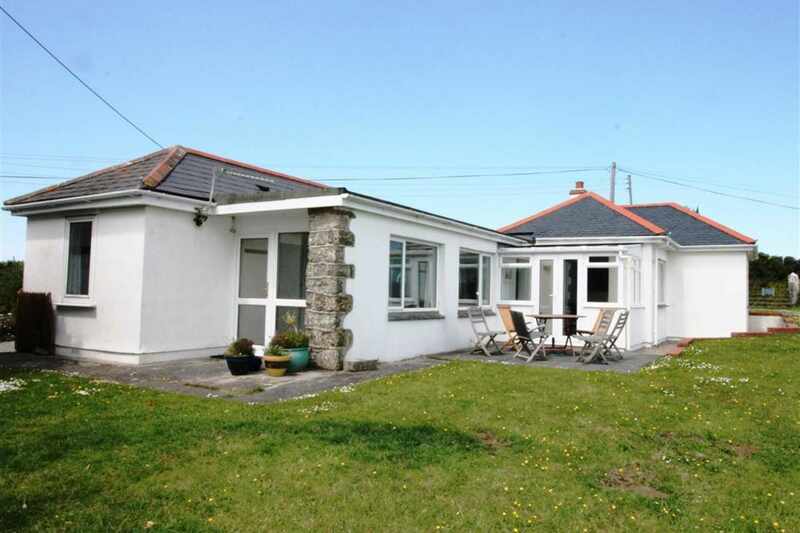 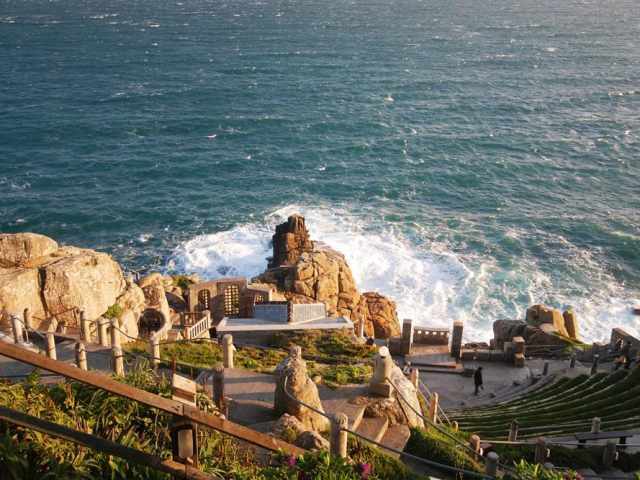 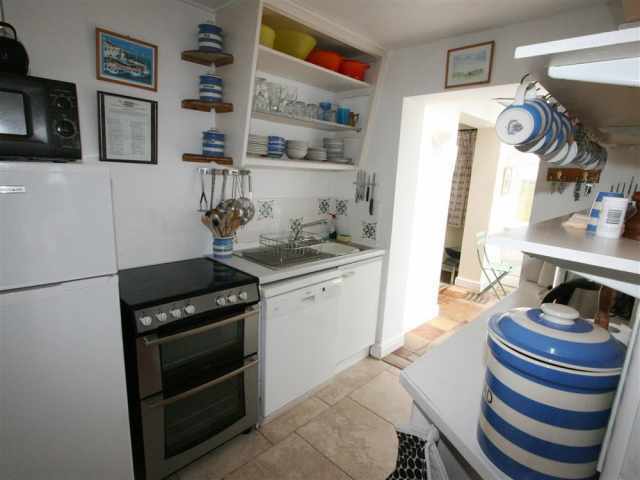 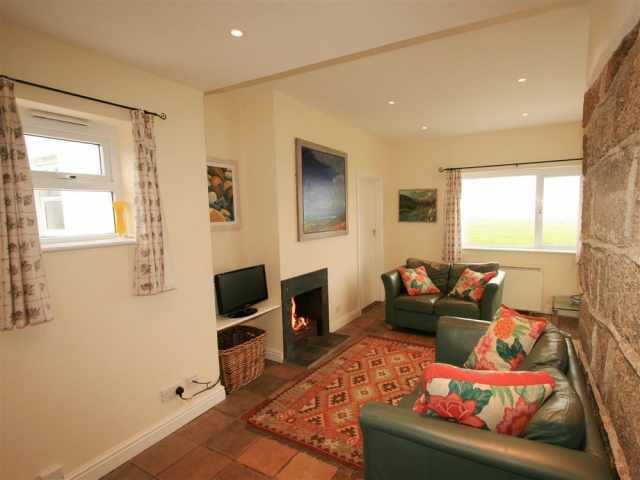 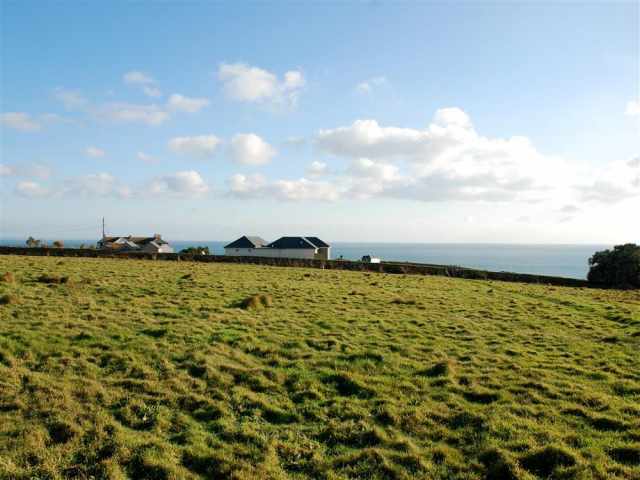 This double glazed detached bungalow with sea views stands in a lovely cliff top position at the side of an open field above Porthcurno, a few minutes walk from the large sandy beach and the renowned open-air Minack Theatre. 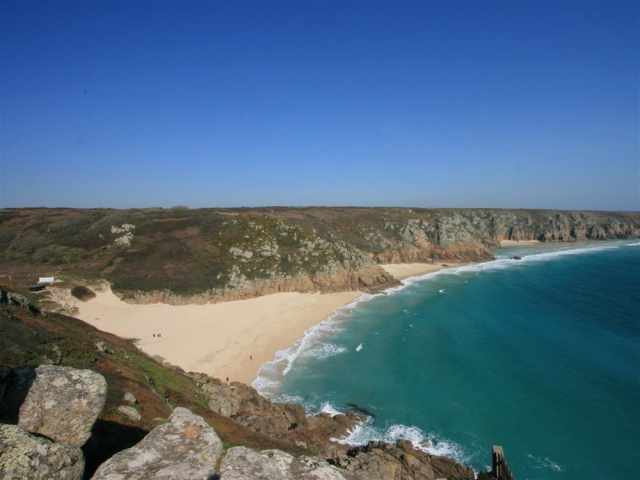 Porthcurno has a pub, seasonal beach cafe and tennis courts for hire next to the fascinating Porthcurno Telegraph Museum. 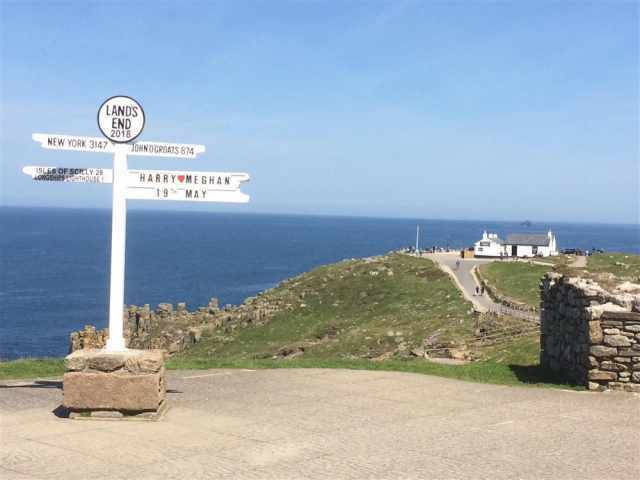 St Buryan, 3 miles, has a village pub, shop and post office store and the surfing paradise of Sennen Cove is about a 10 minute drive. 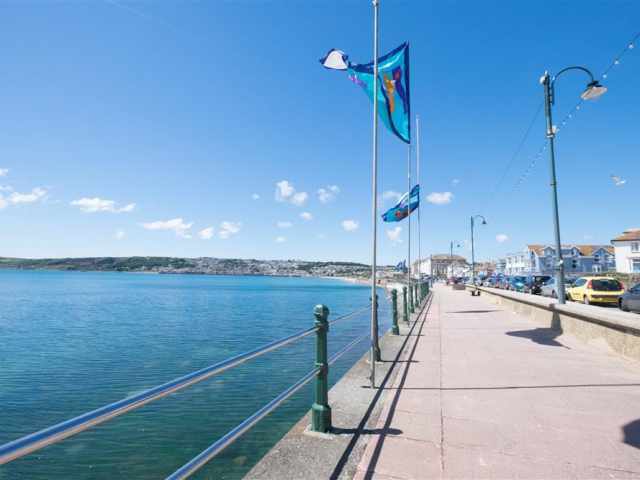 Penzance, 9 miles, has a good selection of shops and restaurants and is the terminus for the Scillonian ferry to the Isles of Scilly, alternatively, flights and helicopters operate from Lands End airstrip 4 miles away. 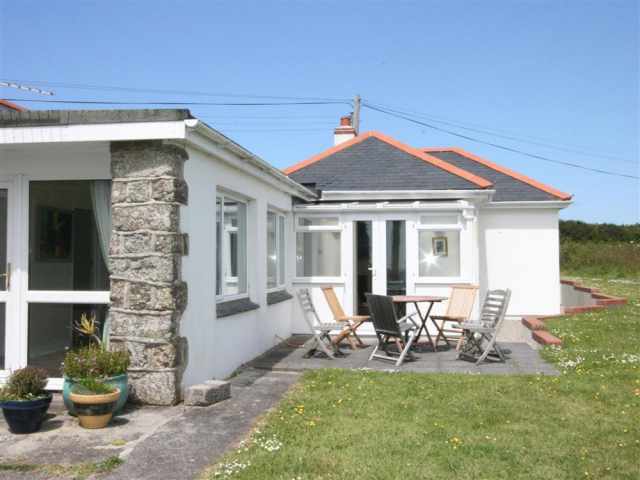 From the gravel parking area a short path skirts the front of the bungalow to the front door which opens directly into a sitting room with some exposed granite walling and a slate floor; comfortable seating is arranged before the open fireplace. 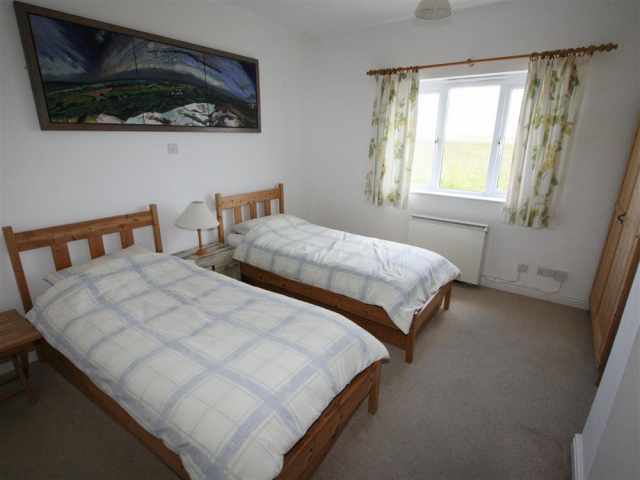 To one side a useful hall has an adjacent W.C. with hand basin. 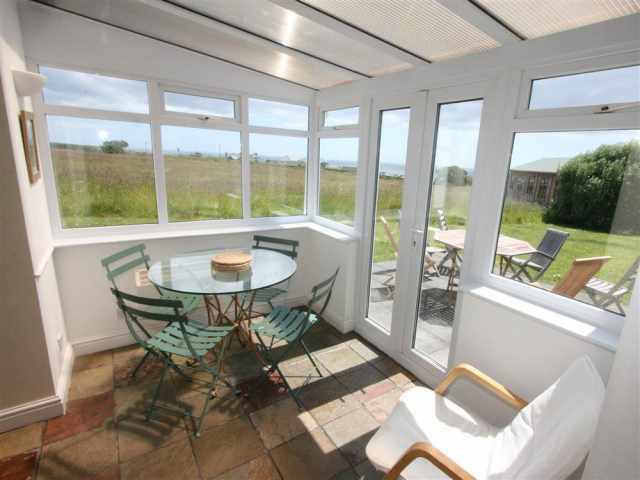 At the further end of the sitting room an open arch leads into a small conservatory with French doors to a patio area sheltered within the L shaped wings of the building and with wonderful views eastwards across The Lizard and west towards Lands End. 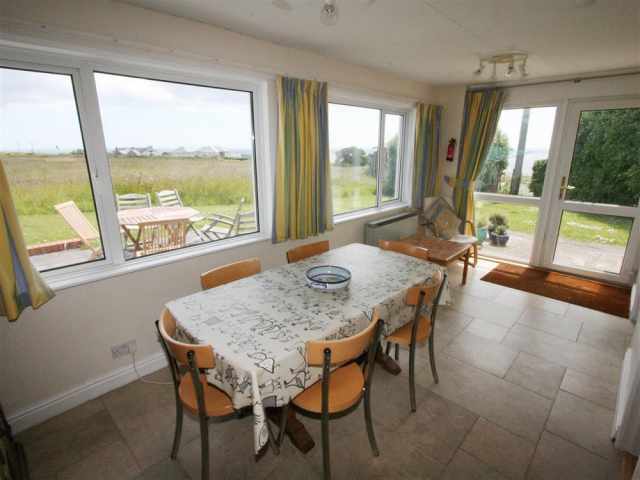 A galley kitchen opens from one end of the conservatory and leads through to a dining room with views across the field from a large window and from a glazed door at the far end which opens out to a mown grassy area. 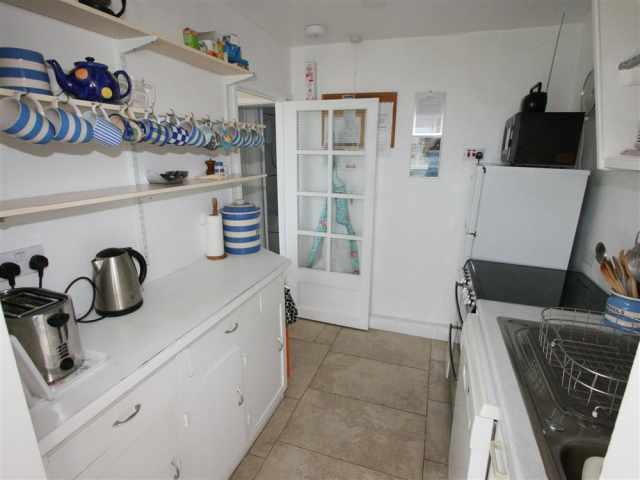 There are two bedrooms on this side, a double and one with 2ft 6in bunk beds respectively and a bathroom W.C. with hand basin and shower over the bath. 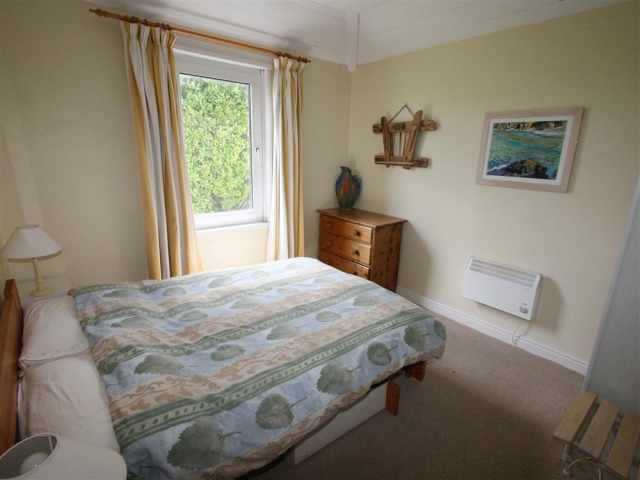 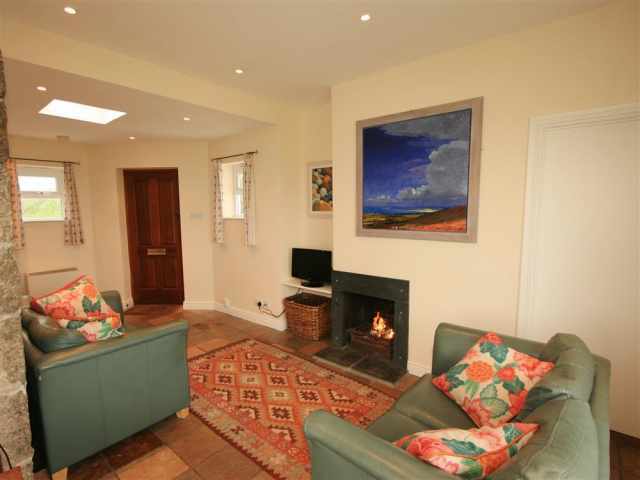 A third bedroom with twin beds and an en suite shower room W.C. and hand basin opens off the sitting room.